What Type of Coverage Do I Need for My Alternative Medical Practice? Alternative Medicine procedures carry the same risk of litigation as any other medical procedures. Some practitioners and their patients may believe Alternative or Holistic treatments are risk-free as they seem to be “all natural” as opposed to those performed in a more clinical setting. Often lawsuits are filed when patients are angered by negative outcomes they believed would not occur during procedures which are taking the natural or alternative approach. One lawsuit whether or not you win or lose could be financially devastating. 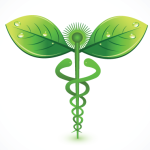 Many medical professional liability policies will not cover alternative or holistic procedures. If you are an MD and currently have coverage check with your carrier on what procedures are or are not covered. Alternative Healthcare Medical Professional Liability coverage provides protection and peace of mind for owners, practitioners, and medical directors. What does it cover and what does it cost? The annual premium for a stand alone policy normally starts at around $1500 and will go up from there. We can tailor a policy to fit your practice structure, whether you are a Physician or Naturopath requiring a stand alone policy, or if you have multiple locations and practitioners you are trying to protect with a facility policy. A facility policy will include coverage for medical corporations, medical director, and allied healthcare providers (PA’s, NP’s, MA’s, Massage Therapists, etc). Contact us if you have a question about coverage for procedures not listed above. Resumes and certificates of training on all professionals performing procedures. Staff (other than physicians) should be supervised by a physician or naturopath who has some experience and training in this field. Completed, signed and dated application/s. Limits: Typical limits of liability are $1m/$3m; excess limits are available. Deductibles: A typical deductible is $2,500; higher deductibles may be available. All policies will have a minimum premium. Separate limits of liability for individual providers may be available. Most policies are written on a claims-made basis, but we may be able to write an occurrence policy. Retroactive coverage may be available,depending on the circumstances. Coverage terms, conditions and exclusions can vary from one carrier to another. Your Presidio Account Executive will explain the coverage differences to help you make an informed decision about your choice of coverage. We understand that alternative healthcare insurance can be confusing. So, we are here to help you every step of the way. Answer any questions about coverage for various procedures. Assist you with completing the application and providing the information required. Assist with financing your coverage, if necessary.